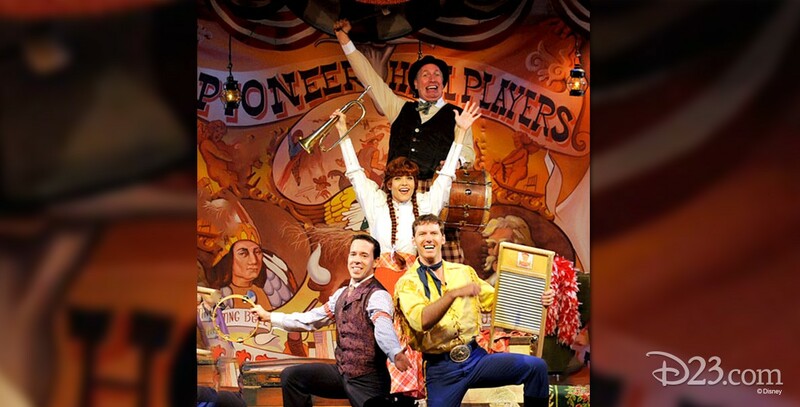 Hoop Dee Doo Musical Revue In Pioneer Hall at Fort Wilderness at Walt Disney World; beginning on September 5, 1974. After a meal of fried chicken, barbecued ribs, and corn on the cob, the audience joins in the rousing musical celebration of country-western entertainment. In 1983, the show opened at the Diamond Horseshoe at Tokyo Disneyland.